I finally saw episode 45 of DokiDoki Precure, and it was VERY exciting. I have to admit I was a little naughty. It took a while for the English subtitles to come out, and I got a little grumpy waiting. I had to remember what Cure Dolly taught us about being grateful for things and not complaining. It is really wonderful for us that there are people who translate Precure and give us subtitles, so that those of us who do not speak Japanese well enough can still watch. I did watch it raw while I was waiting for the subtitles, but I really did not understand much. Anyways, it turns out that Cure Ace and Regina-san ARE the Light and Dark sides of the Princess! In Deanic/Filianic thealogy, we would call them the True and False Selves of the Princess. I have noticed that this a rather common theme in Precure. 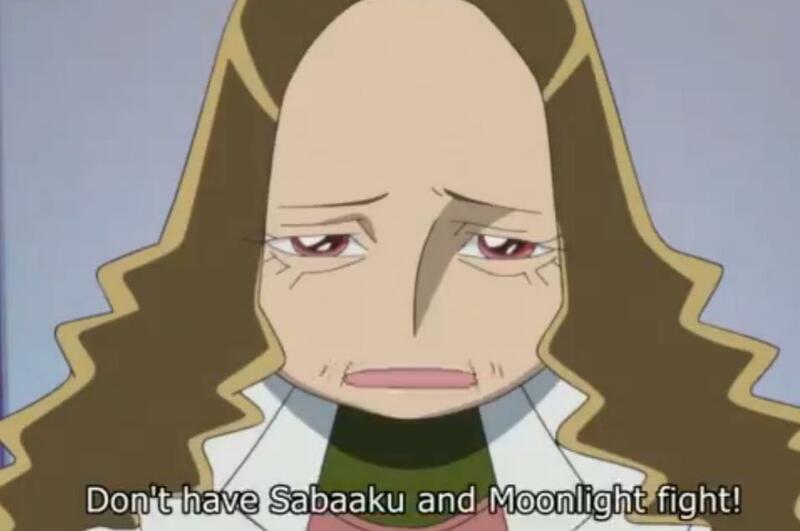 In Heartcatch Precure, Cure Moonlight had to battle Dark Precure, who was created by her father from her substance, specifically to be her enemy. In addition, all of the girls had to do battle with their False Selves as a test before they could level up to be strong enough to face Dune. 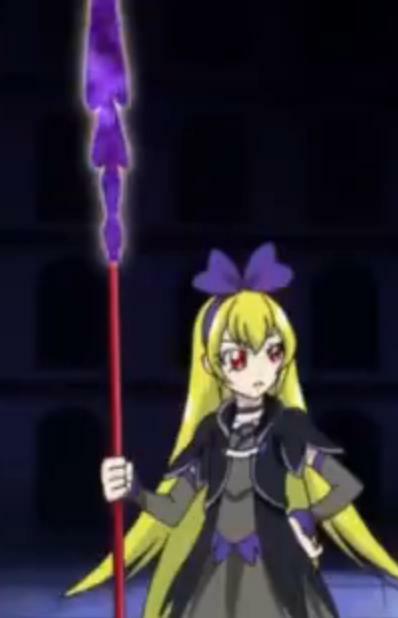 In Smile Precure, there was an episode where the girls had to battle Dark versions of themselves as well. Even though this is a common theme in Precure, in DokiDoki, there are some interesting twists. One of the twists was that the other Minions of Darkness were standing on the sidelines, and they were perfectly willing to attack Regina-san to steal the Dragon Glaive, even though she was supposedly on the same side as them. The Dark is not very good at being loyal to its own, it seems. Another interesting twist is that Regina-san does not seem completely Dark. In Heartcatch Precure, we could feel some sympathy for Dark Precure, but she was still Dark. Yet, Regina-san has her moments of being Light, and Mana-chan/Cure Heart has been working hard to try to redeem her. 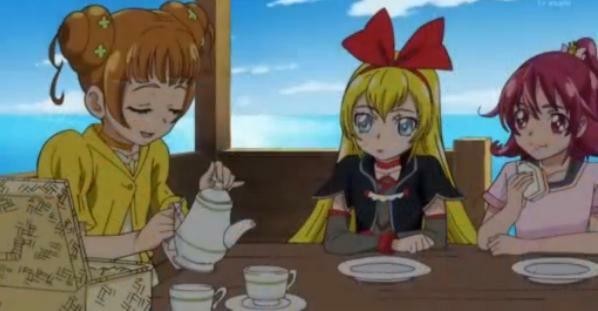 Also, Cure Ace seems to think that she is supposed to annihilate Regina-san; however, Cure Heart protected Regina-san. I have a strong suspicion that it is a lot more complicated than that. I wonder if Cure Ace needs to embrace and love Regina-san. That has happened before in Precure as well. I wonder what is going to happen next. It looks like there will not be a new episode this week, but the next episode will be a week from now. It seems from the previews that we are going to learn what happened to Trump Kingdom. DokiDoki Precure is really getting exciting, isn’t it? I have just seen episode 40. The girls have just tried to retrieve the Spear of Light and rescue Regina-san, but have failed. She would not go along with them. Isn’t it interesting, though? Regina-san is the only one who could move the Spear of Light, one of the three Sacred Treasures. In episode 30, the girls recover one of the Sacred Treasures, the Crystal Mirror. In episode 31, the Minions of the Selfish Kingdom break the Crystal Mirror. (I still shudder with anger at that scene, by the way.) The girls keep fighting, and the five broken pieces become the Lovely Pad, which allows the girls to combine their powers. In episode 39, we learn that the Spear of Light is hidden in the Selfish Kingdom’s headquarters. It was stolen from the Princess of Trump Kingdom, who is still frozen. When the girls try to recover it, they are unable to move it. To everyone’s surprise, Regina-san was able to move it, and the Spear became Dark. 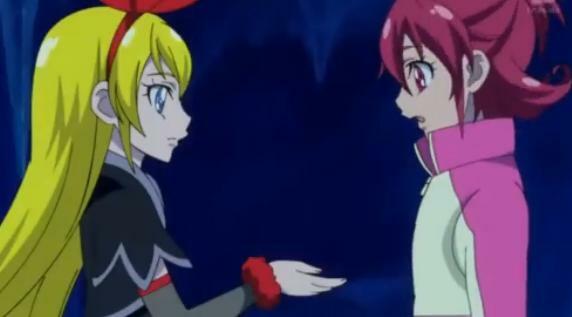 Cure Heart tries to reach Regina-san with her words and her feelings, but it does not work. At the start of episode 40, the girls are in disagreement as to whether it is possible to reach Regina-san with love. Aguri-chan says it is impossible, that she is King Selfish’s daughter and there is no love in her heart. Mana-chan disagrees, and says that Regina-san loves her father, (see episode 22); therefore, she must have love in her heart. Makoto-chan takes this to heart, and decides to write a song to reach her. Soon, the rest of the girls join in to assist. At the same time, Regina-san also decides to enter the battleground of song. King Selfish has told her to go take over the world. Regina-san tells him that humans are resilient, and they must weaken them first. 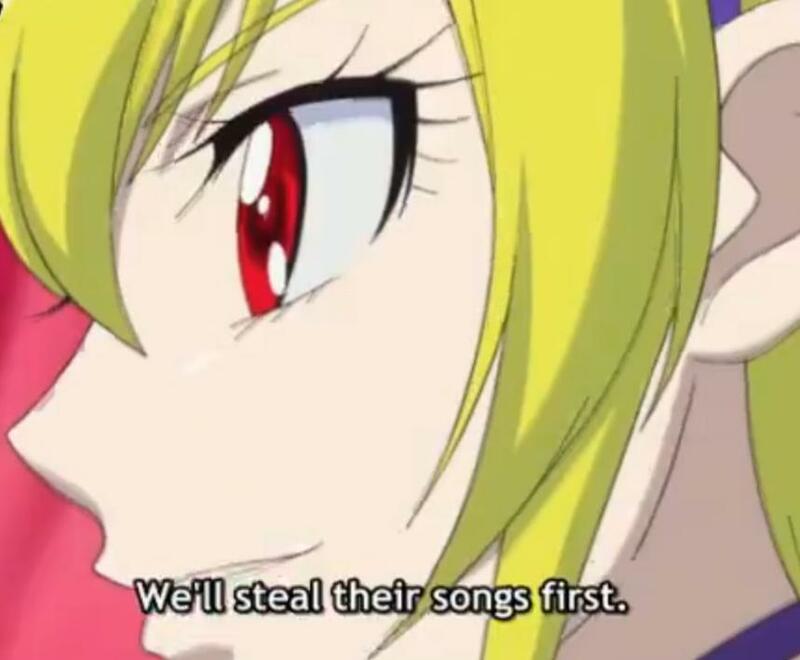 Regina-san decides that the way to weaken them is to steal their songs. Songs are now the battlefield. Why is that, and why are songs so powerful? This past summer, Cure Tadashiku explained this to us in the article, Selfishness and Harmony. Tadashiku-san taught us about the Japanese word, wa, which means harmony. Wa is the harmony of music, but it is also the harmony of the heavens and the harmony of social relationships. A previous series, Suite Precure, explored the the concept of wa in great depth. 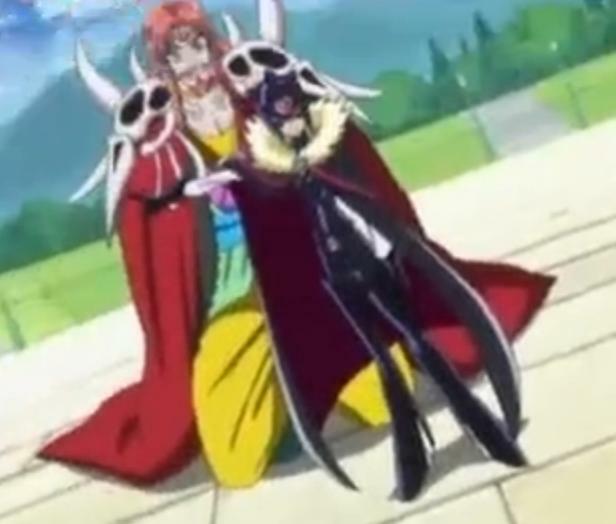 In Suite Precure, we are shown that love is fundamental to harmony; Queen Aphrodite (Venus) is the Queen of Major Land. In DokiDoki Precure, we are shown that harmony is fundamental to love. As I was watching, I was very glad that, in episode 24, Makoto-chan made the decision to keep singing even after they found the Princess frozen. Isn’t it exciting how all of the pieces are starting to come together? I remember in that episode, Aguri-chan said that Makoto-chan’s songs would save the world, and now she is singing a song to directly fight a battle against the Selfish Kingdom. This battle is for the heart of Regina-san and for the Spear of Light! In the heat of the next battle, Makoto-chan sings her song. It allows her to free herself from the clutches of the Selfishness that Regina-san created and to power up. She does start to reach Regina-san, and Regina-san feels her heart ache again, as it did before, when Mana-chan’s love brought her around for a short while. Although Regina-san gets away before the song can completely touch her, we know now that there is hope. I wonder what will happen next? Is Regina-san the Princess? What about Ai-chan? Remember, we learned in episode 34 and episode 38, that Ai-chan’s upbringing will determine whether she will be loving or selfish and that will determine the fate of the ultimate battle with the Selfish Kingdom. 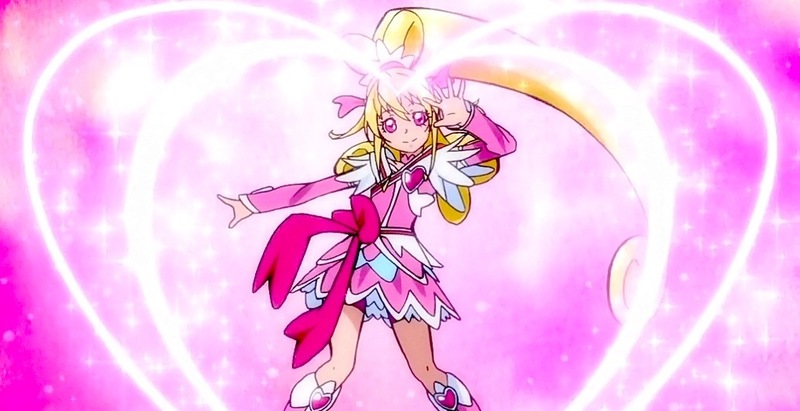 What about Aguri-chan/Cure Ace? Why does she have nostalgic feelings with respect to the Princess and Trump Kingdom? DokiDoki Precure is getting pretty exciting, isn’t it? I am really, really interested in who Cure Ace may be. Here is my guess. We may find out in a day or so, but I will begin my predictions now! I have noticed that Regina-san does not have any memories, and I have been wondering all along if she is really King Selfish’s daughter. The Princess is still asleep, as far as we know. Anyways, I wonder if the Princess was split somehow when King Selfish took over the Trump Kingdom. I wonder if, somehow, her good and bad parts became separated into Cure Ace and Regina-san. There is precedent for that in Precure, I believe. 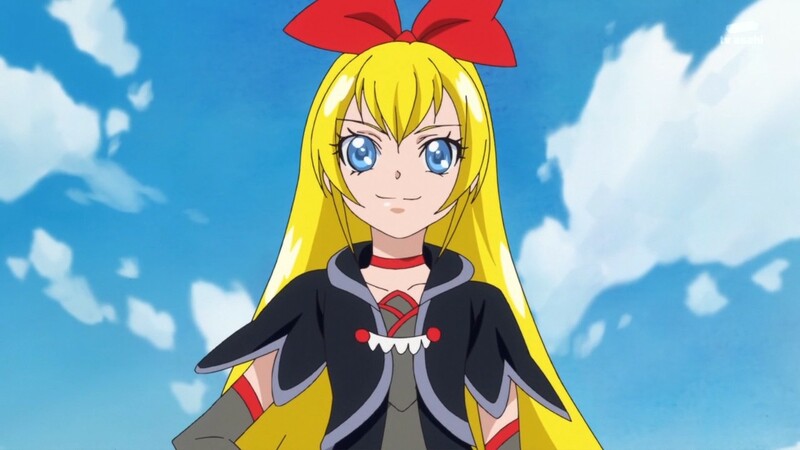 If you remember Dark Precure was the other side (or sister) of Cure Moonlight. Anyways, I guess we will find out soon. Who is Cure Ace? The discussion continues! I have just seen the most recent episode of DokiDoki Precure, and the story is getting fascinating. 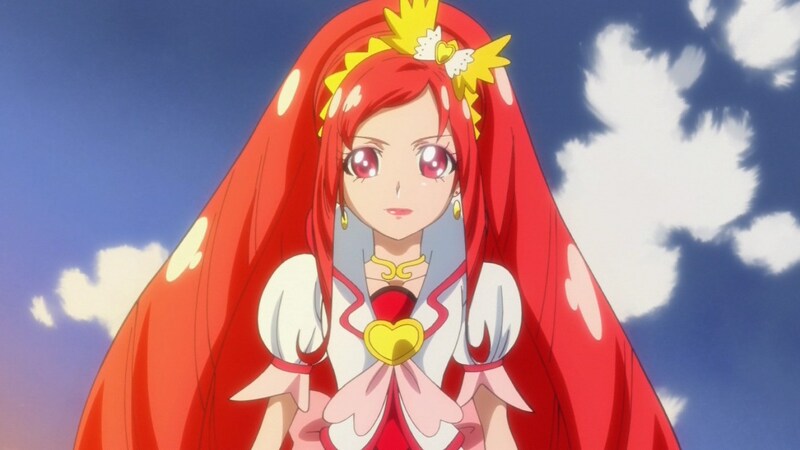 For those who are not up-to-date with DokiDoki Precure, this article will contain some spoilers, I am afraid. At the time of the writing of this article, DokiDoki Precure, Episode 20 has just aired and has left us with a bit of a cliffhanger. Actually, that is quite the understatement, it has left us with a huge cliffhanger. As has been discussed previously on this site, the main premise behind DokiDoki Precure is an exploration of selfless love and selfishness. This premise is also intertwined with the premise of Free Will. Until recently, in each episode, the victim has tried to resist her selfish thoughts before they were amplified by the Forces of Darkness. There has been a new character from the Selfish Kingdom, though, who seems to have the ability to steal people’s hearts without an obvious opening. This is Regina-san. Regina-san is King Selfish’s daughter. She is quite interesting in that she started off almost unaware that there was any alternative to selfishness. Her morality is almost at the level of a very little child, a child who has not yet learned to distinguish between right and wrong. She just knows what she wants. Mana-san has taken her under her wing as her friend, but Mana-san’s real role seems to be that of a senpai or big sister. Mana-san has taken it upon herself to teach Regina-san how to be part of a group or a community. Up until the present episode, Regina-san has been a bit of a difficult student, to say the least. 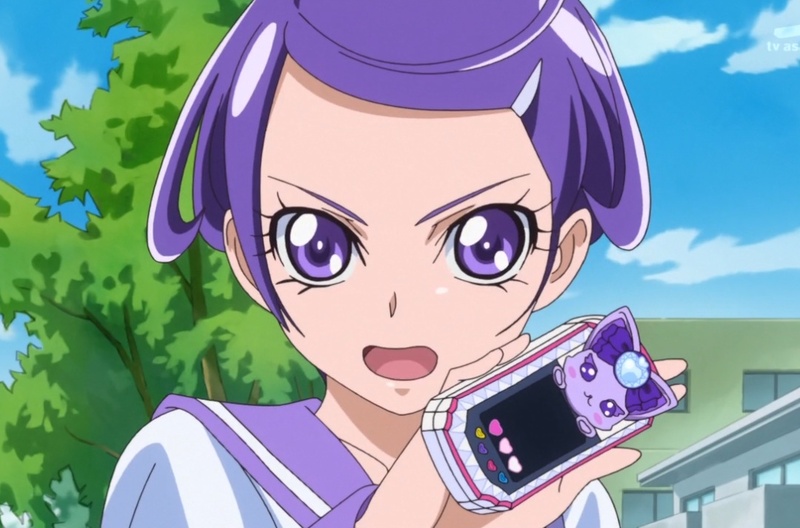 She has tried to separate Mana-san from the other Precure girls in order to attempt to be Mana-san’s only friend. She made her first true moral choice at the end of Episode 19, and she makes the wrong moral choice. She breaks her promise and betrays her friendship with Mana-san. Yet, then in Episode 20, she repents, apologizes, and corrects her previous misdeed! It is interesting that King Selfish’s daughter, Regina-san, is the pivotal character in this analysis of Free Will. In this story, Free Will is the power to make moral choices, and the right moral choice is a selfless act, not a selfish one. This is in stark contrast to the Western understanding of Free Will, which tends to be a belief in the freedom to do whatever we want. Yet, in this series, when people selfishly try do what they want without consideration of others, it leaves them open to be used and to be controlled by the villains. 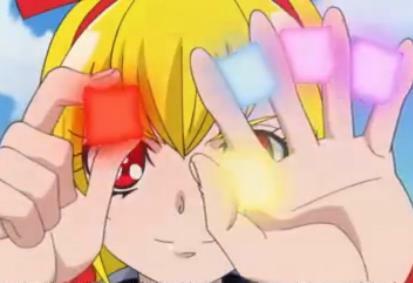 We are left at the end with a trailer to Episode 21, and with the promise that a new Precure will manifest. 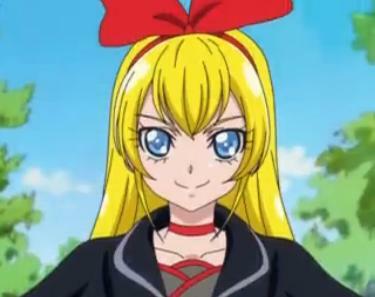 I wonder if Regina-san will emerge as this new Precure. 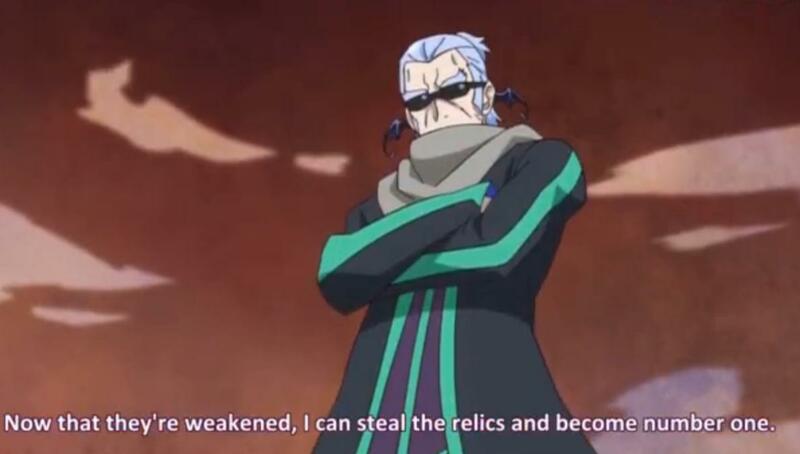 There is certainly precedent for a villain to become a Precure. See Is Innocence Safe? Sadly, we will have to wait until next week to find out.